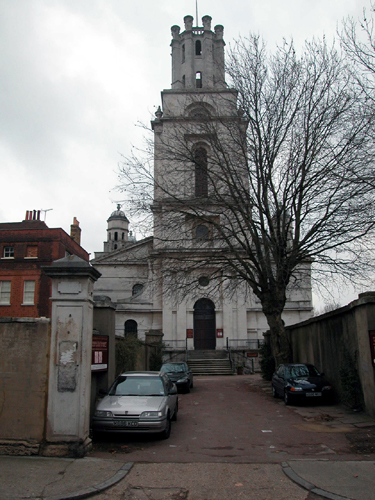 St George in the East was designed by Nicholas Hawksmoor. The foundations were laid in 1714, the building roofed in 1717 and the church was finally dedicated in 1729. 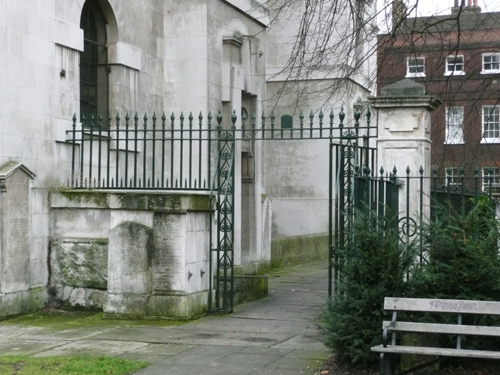 The new parish was created out of the Parish of Stepney and named St George-in-the-East in order to distinguish it from other parishes named after St George. It is one of six Hawksmoor churches in London built from 1714 to 1729 and one of three that I have investigated. In the spring of 1941 the church was hit by an incendiary bomb and the interior was destroyed. The building remained a ruin until a smaller church, designed by Arthur Bailey, was built within the existing walls and dedicated in April 1964. I was commissioned to carry out the paint analysis of the North and South Gates. The gates have been painted on twenty-four occasions. The first scheme was in grey and the majority of the subsequent ones were in different shades of dark green. Black has only been used in recent years.